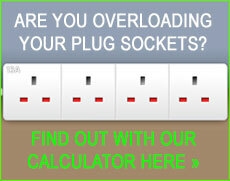 Why choose us as your local Northolt electrician? If you are looking for a good electrician in the Northolt UB5 area, dkp Electrics are a local electrical company with fully qualified electricians who are reliable and carry out all types of electrical work. Whether it is a small job you just need an electrician to fit a light or a big job to rewire your house and test, all of our work is carried out to the highest standard and complies with the latest wiring and Part P building regulations. dkp Electrics are local NICEIC electricians in Northolt and regularly work on property maintenance for Landlords and Private owners. We offer all landlord NICEIC electrical 5 year certificates, also known as Electrical Installation Condition Reports (EICR) along with mains powered smoke detector alarms, emergency lighting, electrical testing & certificates and new fuse boxes with Rcd's, which may be required by estate agents for renting or general safety. Although we carry out a lot of installation and maintenance work in Northolt, we are also highly recommended electricians in and close by to Radlett, Greenford, Uxbrdge and Hillingdon areas. Experts in the field of problem finding and solving electrical faults, all of our electricians are experienced time served engineers and we only use industry approved equipment and good quality materials. We do not cut corners in our work and always explain things claerly in as much detail as possible before and during the work. We also install security equipment such as alarm systems, CCTV, intercoms, smart heating devices such as NEST, Honeywell, eco bee, tado, hive and many more which allow you to control from anywhere in the world. Whatever your security needs, even if it’s simply LED security lighting, having some security is better than none, and is always a worthwhile investment.